When I go off work & go home, the first thing I do is sitting down on the sofa & turning on TV in the living room. So the background wall of your TV is significant for a house. Some like hanging tv on the wall, while others like put TV on the TV cabinet. 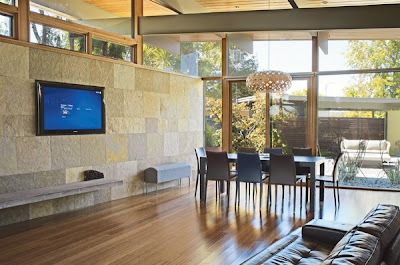 No matter how you put your TV, the adornments should cohere with the basic design. 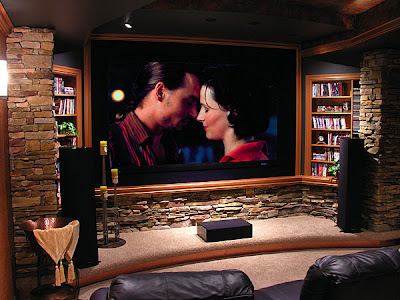 Home Theater Inspiration is a new collection of inspirational pictures for those who want a home theater in their home. 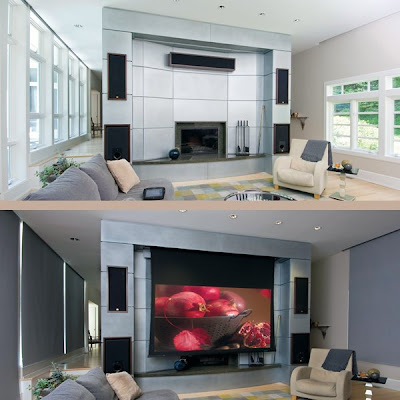 Either way, the home theater is becoming increasingly popular. Equipped with the latest digital video & surround-sound audio technology, home theaters can transport you to another world without your ever having to leave the house. So this is the first set of home theater inpiration pictures. « Finding The Right Colours In The Bedroom!